This is the third in a series of videos featuring three young, energetic musicians who have produced their work using only the KORG electribe. The third video highlights PAINTVOX, winner of the “2014 KORG DSN-12 commercial contest for best music”, an achievement that allowed him to present his skills at an event hosted by DETUNE. This video showcases his incredible playing technique and style. PAINTVOX’s music is extremely inspiring and imaginative. Enjoy this original piece from the artist. 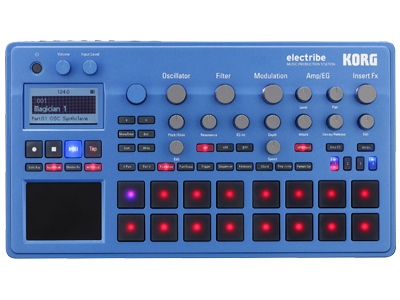 Home News PAINTVOX plays KORG electribe.